I am the child of racists. Growing up, I took a lot of heat from my parents for not being racist enough. I was told that it’s morally wrong for white people and black people to be friends, to visit each other’s homes. I should not be too friendly with non-whites, and if I ever even once went on a date with a black boy I’d come home to find the locks changed and my possessions dumped on the front lawn. I have hated racism my entire life. Argued against it within my own family, pushed back against every N-bomb, racist joke and hateful pronouncement delivered within my earshot. It’s been a source of tension between me and my parents since I was in grade school. So how did I wind up spending 20 years in a political party that supports racist policies? The car that subjected me to right-wing brainwashing. It was white, too. Around 1990 my grandparents – dyed-in-the-wool Democrats, by the way – gave me a car that had belonged to my grandfather. 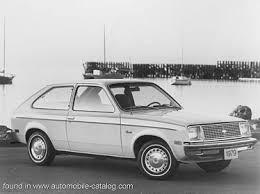 It was a 1979 Chevy Chevette. And it only had an AM radio. I quickly discovered that the only thing I could get clearly on that radio was the local news/talk station. While the mornings were covered with local, more left-leaning shows, I am not now, nor ever have been, a morning person. So I was more likely to be listening in the afternoon when the programming took a sharp right turn. Before this, I’d not paid much attention to politics. So as Rush Limbaugh began telling me about the state of the world and the evils of Liberalism, I was a clean slate. I didn’t realize that as he made fun of liberals he was making fun of me. Until he wasn’t, because he’d converted me. 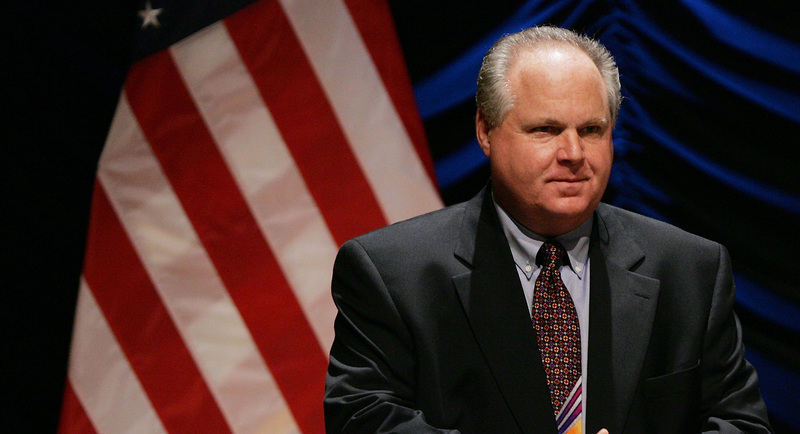 For a long time, Rush Limbaugh felt like family to me. I spent 3 hours a day with him for about 17 years. What I didn’t understand is just how far the tentacles of the “less government” idea reach, how it’s used as a racial code word, and how the concept affects real people. How when it’s applied to corporations (which is how it’s really intended despite all the “personal liberty” platitudes) it results in workplace discriminations, low wages and environmental damage. Instead, I spouted talking points about how people can’t have jobs if you regulate businesses into the ground. The flipside of “less government” and “personal liberty” is personal responsibility. Which again, sounds good on the surface, but is even more insidious in practice. Because “personal responsibility” isn’t just about being proactive and working hard to be successful. It means that if you’re NOT successful, it’s your own damn fault. It’s because your “culture” tells you not to work hard. Because we settled the “lack of opportunity” thing back in the 60’s and everyone in this country has an equal shot at success if they just work hard enough. Why, Limbaugh himself became super successful without the benefit of a college degree. Anyone can do it if they try hard enough. What I couldn’t see at the time is that everyone in this country does NOT have an equal shot at success. (And while blatant racial discrimination was made illegal, there’s a lot of insidious, institutional racism in this country that is a lot harder to legislate away.) No, Limbaugh didn’t have a college degree. But he came from a successful family. He had many more opportunities than I did coming from a more blue-collar background. And that doesn’t even touch the hurdles poor people and people of color face. If you live in one of the poorest neighborhoods in your town, and your family has for generations, you get a drastically lower-quality education. Everything in the culture around you pulls you toward maintaining the status quo of your circumstances, because that’s how human nature works. “Pulling yourself up by the bootstraps” is a Herculean feat that few are able to manage. It’s not because they’re lazy, it’s because they start from so much further behind than the Limbaugh’s of the world. According to Limbaugh, even programs to help this disparity like Affirmative Action are detrimental to the minorities they’re supposed to be helping. 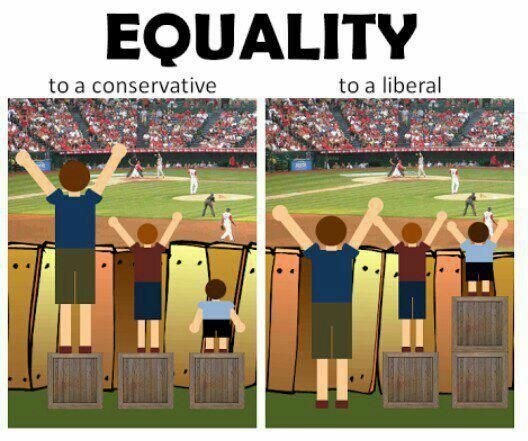 Because again, since everyone has an equal shot now, it’s racist to say minorities can’t make it on their own merits. Isn’t it condescending to say they can’t compete? It’s the Right that respects the potential of minorities by giving them the opportunity to succeed on their own abilities. Now. If you don’t realize the true history, or the actual hurdles poor minorities (because this is as much about economics as race) are up against, this sounds good. We’re the ones that believe in you, not the ones that want to keep you beholden to the Welfare State. We want you to succeed, the other side wants to keep you down. Of course, all of this is a smokescreen to keep people like me from realizing the fact that conservative polices make it a whole lot harder to succeed when you start out poor and a person of color. And the whole “Welfare State” phrase is a big dog whistle. Conservatives pretend they want to get people off government assistance because it’s bad for those people. Yet they also oppose investing in education in poor communities, and programs that help people escape the cycle of poverty. Limbaugh convinced me with tactics Republicans have been using since the early 1960’s. I have friends that are still convinced today. But the real message becomes apparent once you dig into the history and deeper meanings of the words being used. I’m glad to have finally seen the truth.